For horse racing fans domiciled outside of the United Kingdom and Ireland, it can be difficult to appreciate how the focus of British racing flips in autumn. Gone are the long, intoxicating summer days at Ascot and Epsom. Memories of the Derby and the Oaks slip away, and familiar names like O’Brien, Godolphin, and Coolmore are not heard as often. Attention turns to the much different ambiance of the National Hunt season; cold, windy nights in December with sodden, muddy tracks. It’s a world away from the pomp and ceremony of the summer. But many fans wouldn’t have it any other way. 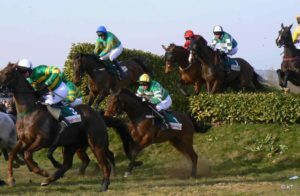 There is no official date for the start of the National Hunt season, usually having some cross-over with the flat season in October, then building up steam until the Cheltenham Festival and Grand National in mid-spring. The latter event is, of course, one of the world’s great handicap races, steeped in history and prestige. However, it is the Cheltenham Festival that fans tend to focus on at this stage of the year, and National Hunt trainers and jockeys prepare for the Festival as if it were their Super Bowl. Bettors, of course, are among those making plans for the Festival and, even at this early stage, they can get their hands on the Cheltenham 2019 best betting offers, such as free bets and other promos, as bookmakers look to drum up some early interest. Markets are available for all 28 races, and plenty of ante-post bets are made to potentially get some extra value early in the season. What horses, then, are looking like they offer some decent value for a long-term bet? Already, there is some sentiment for Malone Road–a horse trained by Gordon Elliot–who was impressive in his debut at Down Royal last week. He is being pointed toward the Supreme Novices’ Hurdle (the opening race of the Festival) with tempting odds of 20/1. Elsewhere, the brilliant Kalashnikov is seen as a big hope for the Arkle Chase. Currently given odds of 7/1 from Betfair, the runner up of last year’s Supreme Novices’ Hurdle might be better suited to chasing. Those odds will likely tumble if he picks up a couple of wins over the coming months. The most prestigious race, the Cheltenham Gold Cup, has several candidates right at the top of the odds. Might Bite is tied with Presenting Percy at 6/1, with last year’s winner, Native River, just behind at 7/1. A favorite may emerge as the season develops and more past-performance data become available. While there are advantages of making a long-term bet, there are also downsides. 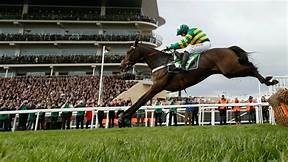 Some of the early favorites for the big races, Buveur D’Air (3/1, Champions Hurdle), Altior (7/4, Champion Chase), and the almost-legendary Faugheen (6/1, World Hurdle), are all much too short with five months between now and the Festival. Moreover, bookmakers are sometimes slow to remove horses from the market that are unlikely to run at the Festival. For example, Douvan, seems to be out for the season but is still priced as the 12/1 third favorite for the Champion Chase. Yet if some of those favorites should be avoided, the opposite is true for a number of the outsiders: Al Boum Photo (33/1, Gold Cup), Meep Meep (20/1 Mares’ Novice Hurdle), Limini (20/1 World Hurdle) and God’s Own (50/1, Champion Chase) could all look like great value a few months from now. A bettor should always make sure the betting company will return the wager (NRNB) if the horse does not line up for the race.